Come visit the Best Western El Camino Inn & Suites. Located in the primary Boulevard of Reynosa. This hotel is more than just a business class hotel, it's a business resort, with gardens, pool, spa and fitness center, plus all the activities this great city has to offer. If you like sports, come and see the Mexican Baseball League with our own local team the Reynosa Broncos, enjoy one of the best golf courses in the border. Experience the delicious cuisines of the region, and have fun because the nightlife is the best, with over 100 night clubs and bars you can choose from salsa to country or pop to rock. 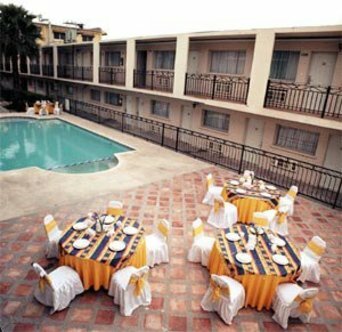 So remember, we are located in the middle of the action, so on your next business trip you will feel like you are on vacation when you stay at the Best Western El Camino Inn & Suites.